At Can Bonastre Wine Resort, we specialize in organizing and coordinating company conferences, events and meetings using our Conference Rooms. Since 2007, we have organized executive meetings, product presentations and press conferences for domestic and international companies such as Lafarge, Deutsche Bank, La Caixa, Sara Lee, Mango, Lamarthe, Volkswagen, BMW, Seat, Mercedes, Nissan, Land Rover, Affinity Petcare, Laboratorios Boheringer, LIDL, Longiness, Swatch and Swissport, among many others. Can Bonastre Wine Resort is a venue located just 35 minutes from Barcelona and 30 minutes from Barcelona-El Prat Airport. 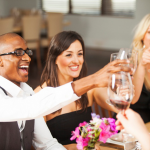 The winegrowing surroundings along with first-rate service and facilities make Can Bonastre an ideal setting for your company meetings, meals and events. CONFERENCE ROOMS AT CAN BONASTRE WINE RESORT: In recent years, we renovated the winery building and its surroundings to highlight the structure’s architectural beauty and historic value. The combination of materials, such as the stone and glass of the large picture windows, creates a warm, enchanting atmosphere for celebrating special events. Can Bonastre Wine Resort has six Conference Rooms: Migjorn Room, 220 people; Montserrat Room, 80 people inside and outside and 50 inside; Barrel Room, 100 people; Food&Cups Room, 40 people; Tribia Room, 40 people and the Lake Room. 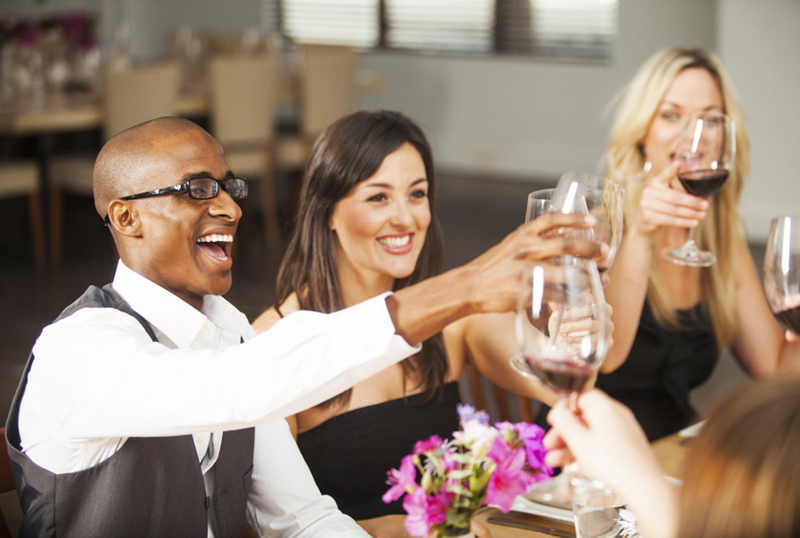 In addition, a private dining room is available for up to 12 people. Complementing the offer are outdoor spaces designed to accommodate large cocktail affairs, car shows or the installation of a tent with a capacity for 400 people. The winery’s old barrel room was converted into a Conference Rooms that preserves the traditional charm and magic of the original space. Dating back to the 17th century, the room was renovated to grant warmth and spaciousness to all of your events. 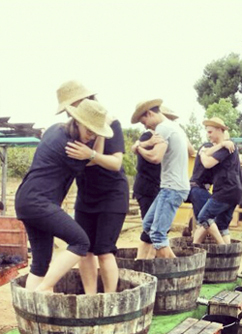 The vineyards surrounding the winery can be enjoyed by foot, horseback, bicycle, Segway or from the air. Guests also have the opportunity to complement their stay with a variety of winegrowing, gastronomic and cultural activities. 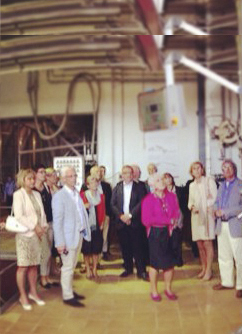 The owner of Hanos Netherlands invited 45 guests to celebrate the company’s anniversary with us, in May of 2014. We organized a welcoming event with views of Montserrat. 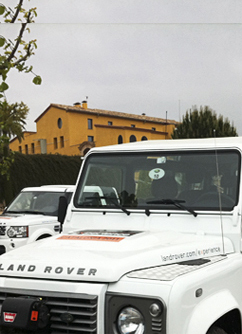 Can Bonastre was part of the itinerary of this spectacular event that Land Rover organizes for its customers every year. You need only to watch the video to see how exceptional the experience truly was. To present the car, Can Bonastre customized the winery’s architectural features and furnishings alongside the brand’s engineers. 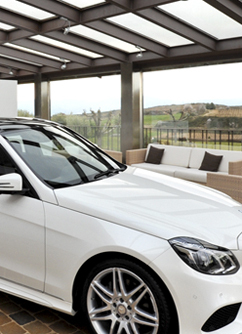 The farmhouse was transformed into a large exhibition space featuring Mercedes engineering. We organize an activity , wine tasting and special meal overlooking Montserrat with international sales team of the company.